Send an envelope that makes them want to look inside. Along with a custom letterhead, invoice, and business card, an envelope is an important piece of your company’s visual identity. 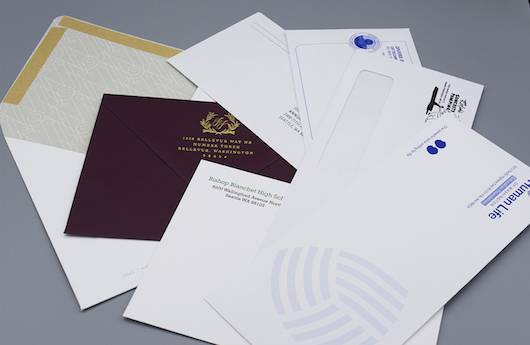 We’ll help you stand out in the mail with a wide range of envelope styles in standard and custom sizes and options. No matter how much technology advances, printing will always be an art. For more than 25 years, businesses large and small have trusted Nikko Media to help them look their very best. We set a high standard for our work because when it comes to your business and personal success, we believe you should expect nothing less. © 2018 Nikko Media, Inc. All Rights Reserved.